*** Light reception to follow in HC 4-29, between Ken Wissoker’s talk and Sara Ahmed’s (in HC L-1 at 3:30). Abstract: Taking research done for a thesis or for an audience of like-minded scholars and turning it into a book that will be read across oceans and disciplines has always been a challenge. Now, in a difficult financial climate for publishers and with electronic forms of the book proliferating, it is more difficult than ever. This talk will cover both the biggest issues — what might we expect books to look like in five years — and more grounded advice on how scholars should approach their own writing and publishing. 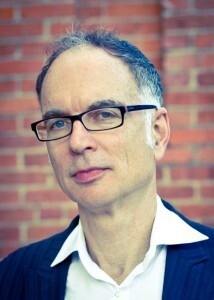 Bio: Ken Wissoker is the Editorial Director of Duke University Press, acquiring books in anthropology, cultural studies and social theory; globalization and post-colonial theory; Asian, African, and American studies; music, film and television; race, gender and sexuality; science studies; and other areas in the humanities, social sciences, media, and the arts. He joined the Press as an Acquisitions Editor in 1991; became Editor-in-Chief in 1997; and was named Editorial Director in 2005. Starting this fall, in addition to his duties at the Press, he will be Director of Intellectual Publics at the CUNY Graduate Center in New York City. He has published close to 900 books which have won over 100 prizes. Among the authors whose books he has published are Eve Kosofsky Sedgwick, Jack Halberstam, Charles Taylor, Joan Scott, Lisa Lowe, Lauren Berlant, Brian Massumi, Arjun Appadurai, Sara Ahmed, Randy Weston, and Fred Wesley. Wissoker is the author of the Cinema Journal essay “The Future of the Book as a Media Project and the earlier Chronicle of Higher Education articles “Scholarly Monographs Are Flourishing, Not Dying” and “Negotiating a Passage between Disciplinary Borders” the latter of which was later reprinted with responses from five social scientists in the Social Science Research Council newsletter, Items and Issues. A three-part interview with him by Adeline Koh appeared in April 2013 on the Prof. Hacker blog.